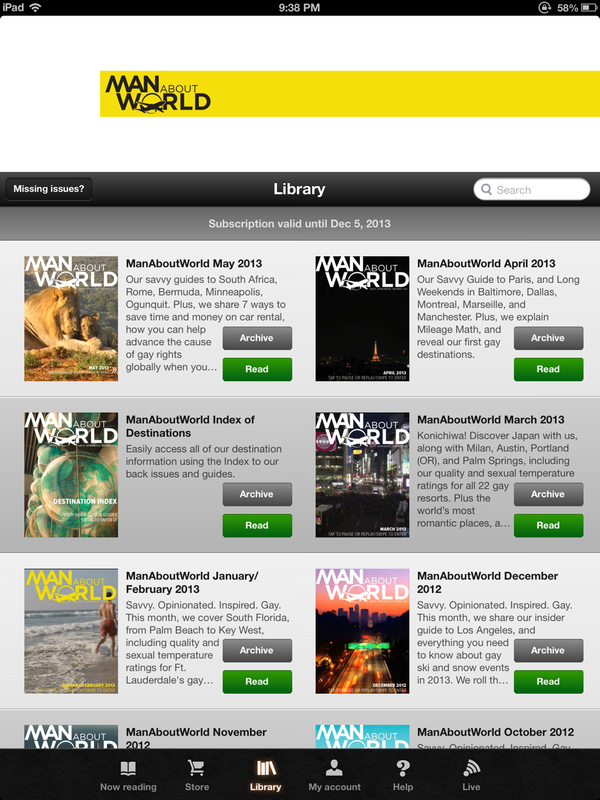 ManAboutWorld magazine issues and guides are accessed through the ManAboutWorld App. The App itself is free, and is found in the iTunes App Store or Google Play. 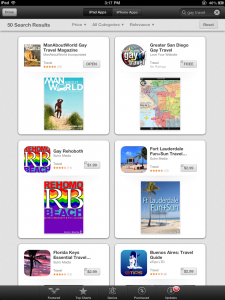 The magazine issues, guides and subscriptions are considered “in-App purchases.” Our top ranking in the iTunes App Store gives ManAboutWorld an advantage in reaching the WiFi generation traveler. Within the ManAboutWorld App, the library lists all of the magazine issues, guides and subscriptions available for purchase or free download from ManAboutWorld. The library contains all of a user’s purchased magazine issues and guides that have been purchased, either individually or by subscription, along with any issues and guides that are free to download for the user. Only an image of the guide sits on the library shelf — working like a billboard. Only when a user actually taps the green button to download the content do we store the guide on their device. 1. Download the ManAboutWorld App on the iTunes App Store or Google Play. 2. Launch the ManAboutWorld App on your phone or tablet. 3. Tap the image of any free content issue to download it to the App.